Achieving and maintaining GDPR compliance is a complex and expensive initiative for companies of all sizes, across all geographies and industries, and tech giants have already been sued for violating the terms, while major newspapers have been forced to restrict EU access to their websites for fear of noncompliance. In June 2018, Dimensional Research on behalf of TrustArc surveyed 600 legal, information technology and privacy professionals, and found that 20% of companies surveyed believe they now are GDPR compliant, while 53% are in the implementation phase and 27% have not yet started their implementation. Now three months after deadline, it's clear that there is a lot work yet to be done in order for all companies to achieve full GDPR compliance. - The latest techniques to protect data and remediate breaches. - How GDPR can support your corporate values and drive business value for customers and partners. - What your organization needs to uncover data risks and avoid fines. 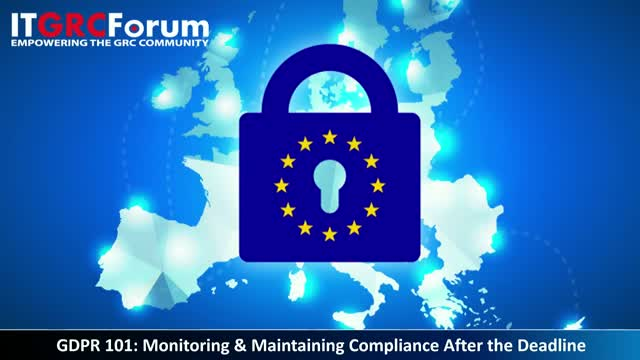 - How technology can enable continuous monitoring, maintenance, and demonstration of GDPR compliance, in an ongoing and efficient manner.